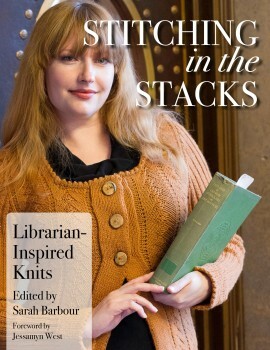 Librarians, knitters and allies, rejoice - Stitching in the Stacks has been published digitally (with print imminent), and it is gorgeous. Buy it! 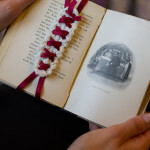 More later on the book and my 3(!) patterns in it (plus the back cover picture!). 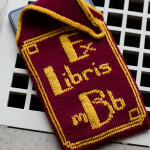 For now, I wanted to point out a link to my full set of free upper- and lower-case monogram alphabets for the Ex Libris e-reader cover (right side-bar - under Free Knitting Pattern Downloads). It's been a while, but I know I tested most, if not every letter. 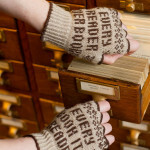 Do let me know if you run across errors, or things that just look wonky once knitted up. It's so easy to make something beautiful on a square chart that turns goofy when you do it in the Vs of duplicate stitch. Enjoy!